Galvanised Metal Bucket - 7 Liters. Comes with carry handle Diameter Ø 4mm. 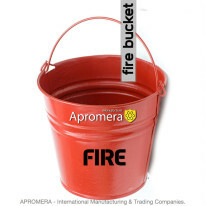 Can be used for ice bucket or general uses of buckets. Galvanised Metal Bucket, ideas for floral arrangements. 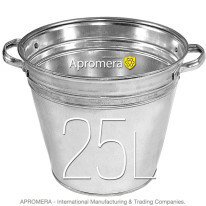 Galvanised Buckets are more durable and is stronger than plastic buckets and can withstand more heavy duty tasks. 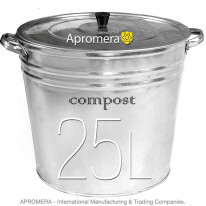 Ideal for carrying liquid, coals, or clearing debris in the garden. Material: Galvanized steel 0.38 mm. ArcelorMittal (Steel Grade DX51 + Zn120). Ideal for Coal, Ash, Kindling, Animal / Horse Feed, Suitable for continuous use in industrial applications and much more. We produce Galvanized Metal Bucket of steel with a thickness of 0.40 to 0.50 mm. Such production is considered to be a standard quality. It is more resistant to deformation and outside influences. 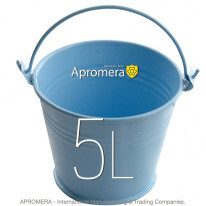 The diameter of handles (for 10, 12 and 15L buckets) is 5.0mm. They are made of galvanized steel. Our handles are more comfortable because thicker handles do not cut hands. 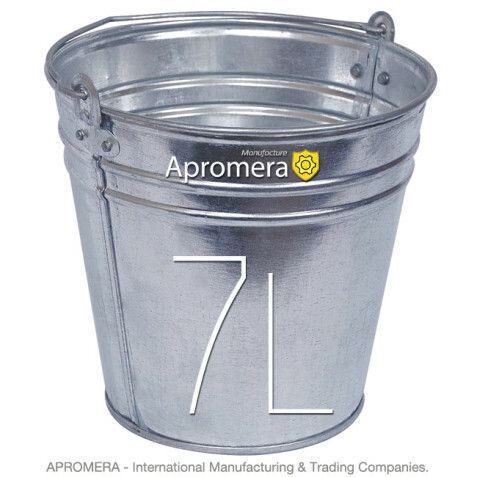 The lug of the Galvanized Metal Bucket is made of 0.45 – 0.50 mm steel. This increases the lifetime of products and their capacity. We have abandoned the method of welding the lugs with the casing. For connection of the lugs with the casing we use galvanized rivets with a diameter of 5.00 mm which provides a considerable strength and lack of rust in the joints. The most important thing. By assembly of the buckets we do not use welding (we have abandoned it), and specifically: seaming the casing and calendering the bottom of the buckets are made on the seaming machines (at the seaming spot 3-4 metal layers are made up, depending on the product type), which increases the strength and leakage protection of the articles. This process is called rolling. Producers usually use welding joints which are less strong and prone to oxidation. Such buckets develop leakage very soon (This has been checked by test control). 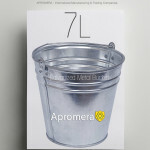 Galvanized metal buckets are commonly used in gardens as well as in manufacturing settings because the metal used to make such buckets is resistant to corrosion from moisture and exposure to the elements. Galvanised Metal already somewhat resistant to corrosion.